Commissioned by Marriott, this award was presented in December 2010 for excellence in hotel construction. It is the most prestigious award they issue for proficiency in construction, design, participation and collaboration. 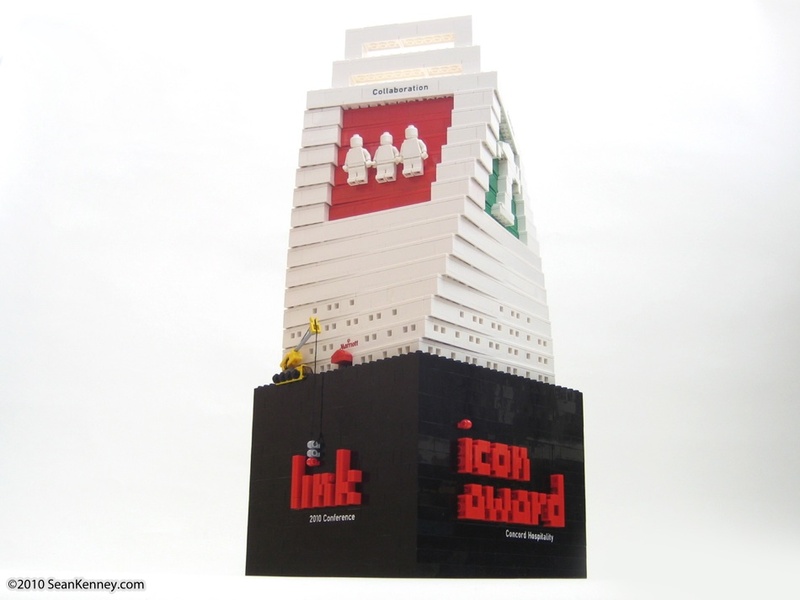 Since this award is called the ICON award, each side includes an image that is iconic of the four focal points of the award. The trophy itself starts out at the base as a hotel-like structure, fading to an abstract geometric shape as you move upwards. A crane at the base of the otherwise serious-looking sculpture is a playful nod to LEGO fun while symbolizing the construction industry.